Yes whenever I change my bathroom I shop from your company ? It fit perfect I will buy it again. Nice 3- price set. Toilet seat cover doesn't fit elongated toilet seat. For the price this is a good buy. 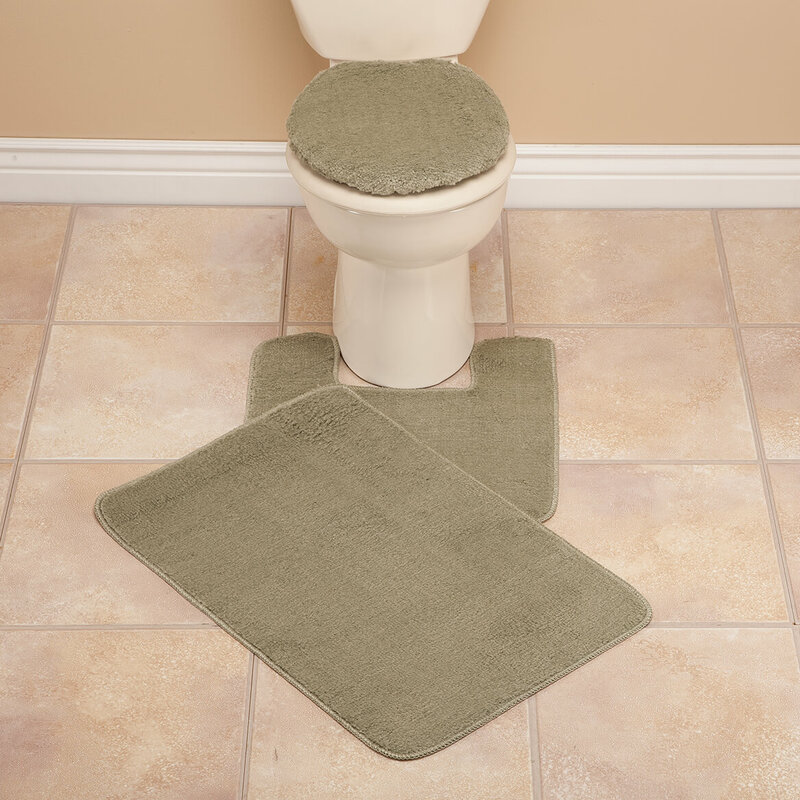 Three piece bathroom set, nice quality, not the best but for the cost it is perfect. I purchased it in burgundy but cant use it. My shower curtain is a little darker/deeper burgundy than this so it throws it off a bit. My friend on the other hand has burgundy accents so this will work perfect in her bathroom. What was once a personal purchase has not turned into a gift. 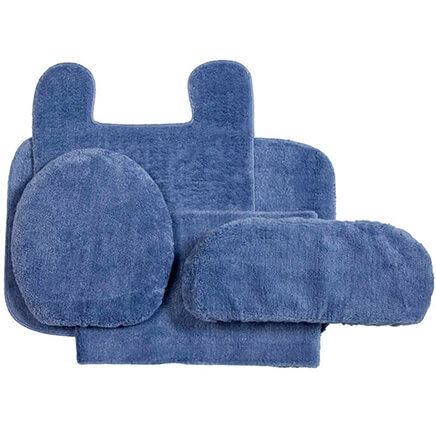 I was looking for a 3 piece set to replace a set in my guest bathroom. I didnt want to spend a fortune. I saw this set and couldnt decide. I finally made the decision and bought the blue. 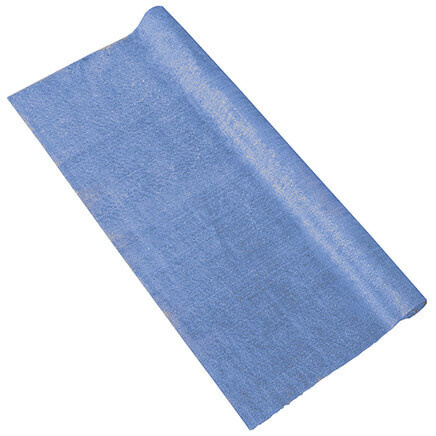 The blue is not a light blue, like in the color swatch, but more like the blue in the picture of the full set in use. They are on the thin side, which is good for me since its just a guest half bath and doesnt get much use. 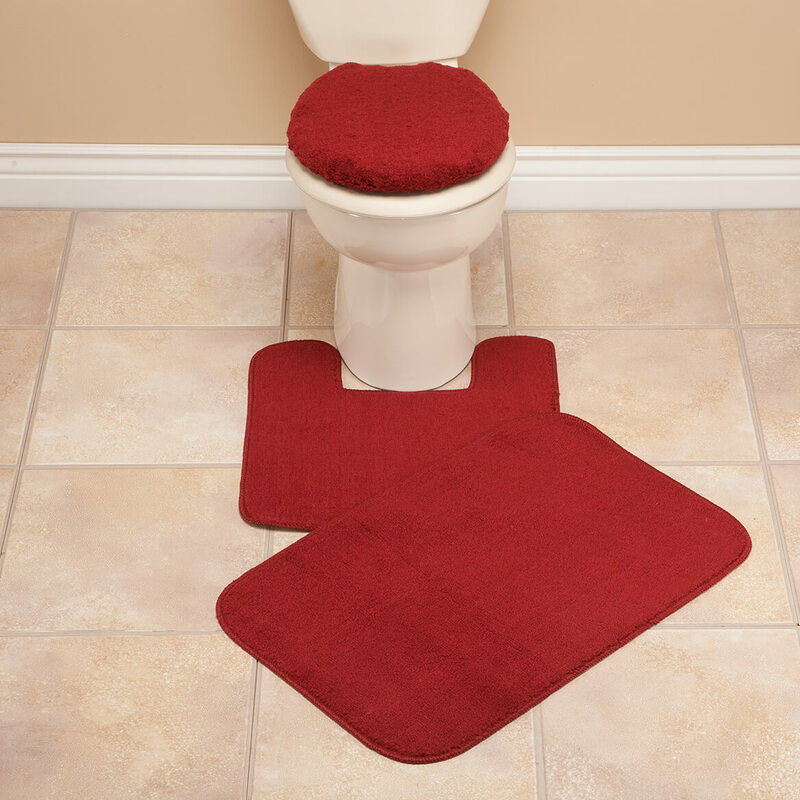 I have an elongated toilet seat and thought the toilet seat cover that came with this set would not fit, so i gave it a try and pulled it over all the edges, and wow it does fit!!! I couldnt be happier. A good buy for three pieces that didnt cost a lot. Now my bathroom has some color to it. Impressed with these items and the color. 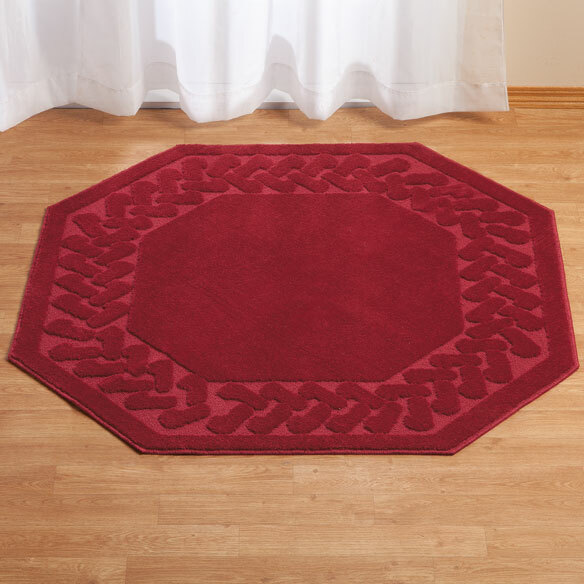 I enjoy this set of bath rugs. Really like the color. This is a nice sized set but not my idea of luxurious. Christmas gift. Not as thick as i wanted it to be. Hopefully it will hold up. 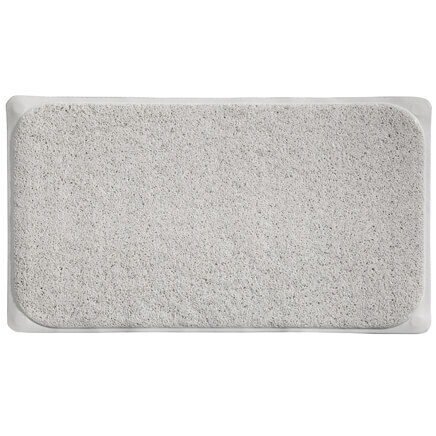 This was the size I needed for my bathroom, but the material is very thin and not the quality I was hoping for. It would not let the bottom seat stay up for men. size and color not available elsewhere. I didn't want the 5 - 7 piece sets. This was just right. 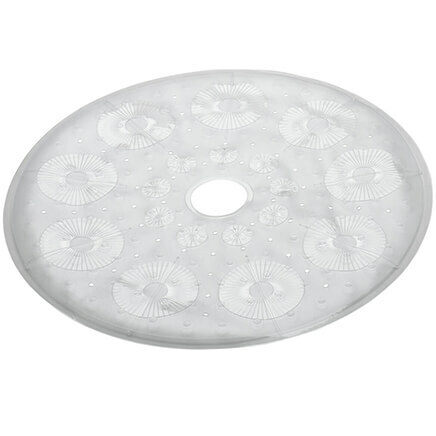 I needed another set so when I wash one I can use this so my floors are not bare. 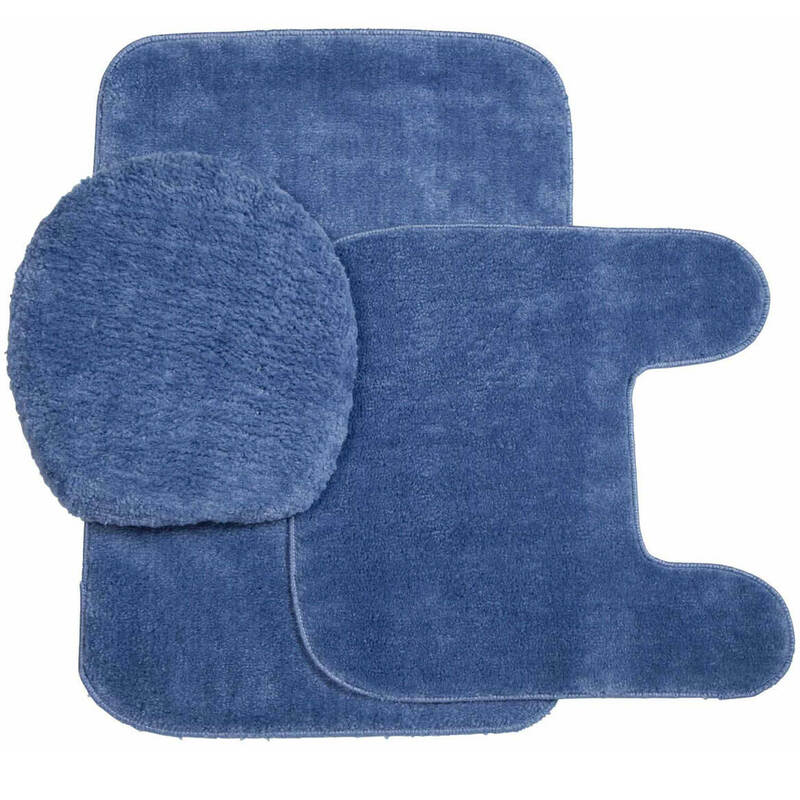 Needed a blue rug bath set and was unable to find one I liked at brick & mortar stores so I figured I'd try this set. Good price. Can't find this set in my area. Price, color and availability. I have been a Miles Kimball customer for many years. Make the bath room look nice. Need a set and this set looks to be what I am looking for and the price is great! Low price, half off. Good deal. I just need a new bathroom set and this seemed to be what I wanted, but I will withhold judgement until I receive it and check the quality. 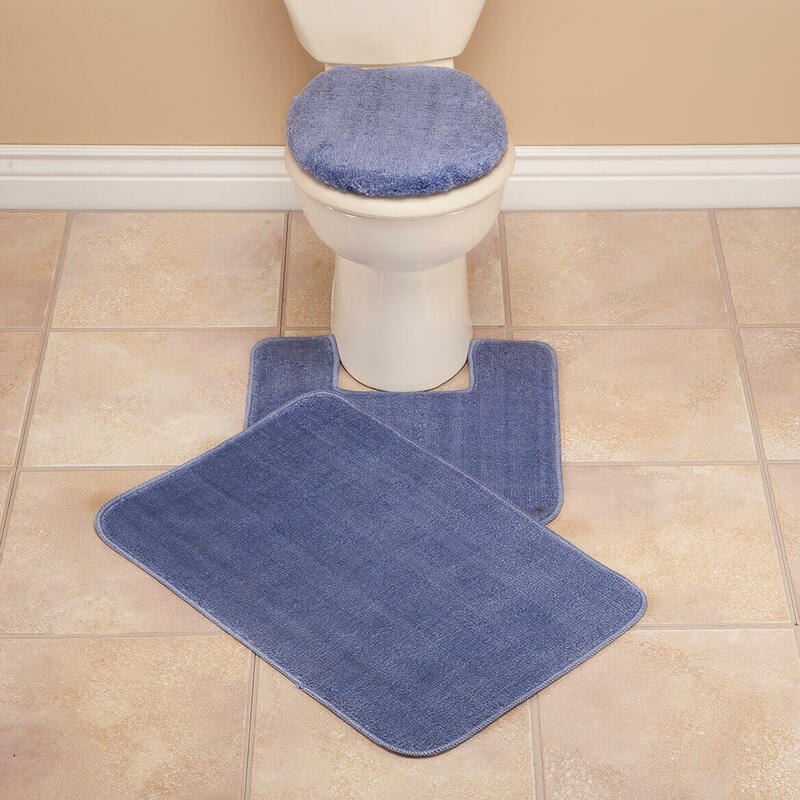 I chose this because the bathroom is small, and I needed thin rugs so the door could open and close without resistance. Thick plush rugs don't work. Need to replace current set. Like color burgundy. It will fit around my toliet bowl. It is the first I have seen more square than round. And the price is right. Redoing my bathroom and this set looks very good to sink my toes into! Rarely find a three piece set in this pretty color. the color matches my bathroom and the price was very good. I have these colors in a bathroom. I need a contour rug. This is a good price. to have a rug under my feed in the middle of the night. small and not very good quality; would not buy this again. 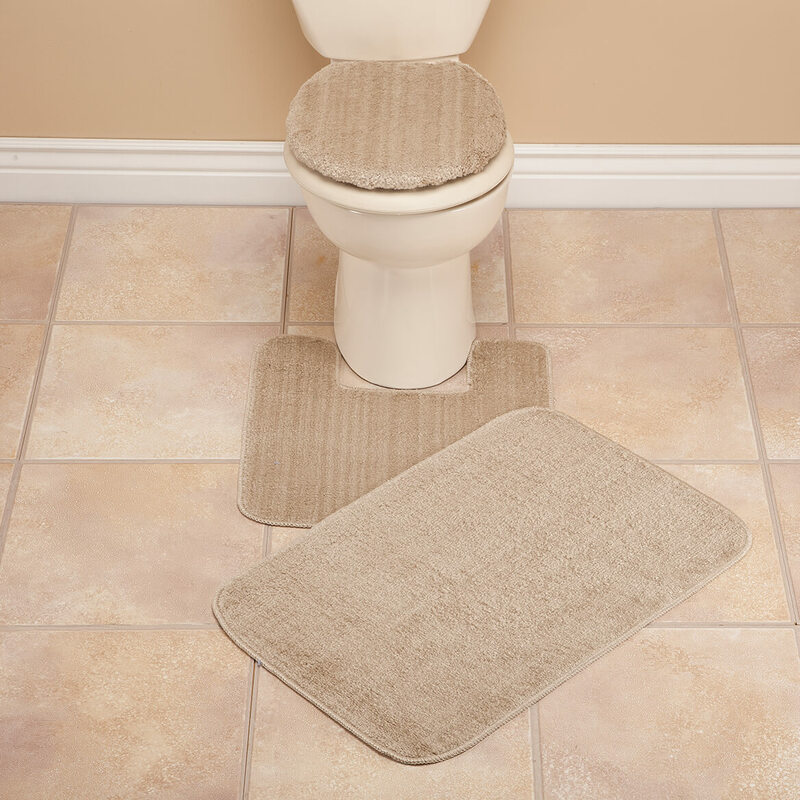 Plush bathroom carpets add comfort, color and style, boasting velvety softness in fashion colors, available in two luxurious sizes. Olefin, latex; spot clean. Made in USA. Note: due to manufacturing changes, some colors may vary slightly from swatches shown.